Great news. 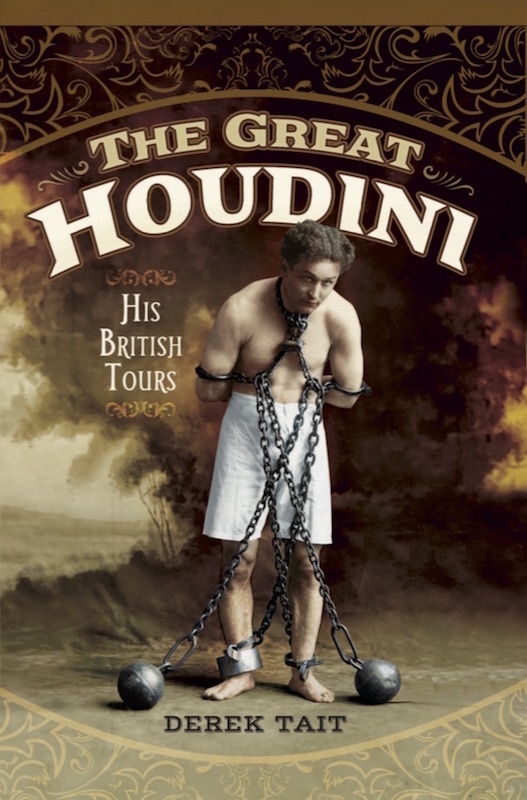 Derek Tait's highly anticipated The Great Houdini: His British Tours is now available for pre-order at Amazon.co.uk. The listing shows it will be a 304 page hardcover with a UK release date of July 30, 2017. Between 1900 and 1920 Harry Houdini toured Great Britain, extensively visiting many of its major towns and cities. Whilst there, he escaped from jails, jumped from bridges into rivers whilst bound up in chains, performed amazing escapades, tricks and illusions, and delighted everyone who came to see him. Everywhere he performed, he issued challenges to local workers to either make a chest, box or other contraption from which he wouldn't be able to escape. He was always triumphant and his feats amazed his audiences. Many of his shows have long since been forgotten and many towns and cities have no knowledge that he once appeared there this compelling book seeks to remedy that. Houdini was, and remains, the best-known escapologist of all time. At the height of his career, he was the highest paid entertainer in the world. The Great Houdini: His British Tours successfully pieces together Houdini's appearances using archive material, old newspaper clippings and extensive research. His friendship with Sir Arthur Conan Doyle is also documented, along with his involvement with seances and spiritualism. The book gives the most comprehensive account of his time within the UK and brings to life the excitement and thrills of many of his appearances. It contains many photos and adverts from his shows, some of which have not been seen since they were originally published over 100 years ago, and offers an insight into the life of one of the world's greatest entertainers. 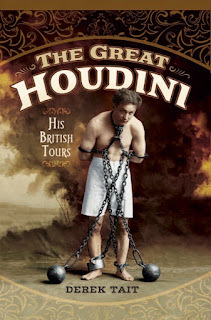 Pre-order The Great Houdini: His British Tours at Amazon.co.uk (UK) and Amazon.com (U.S.). This is going to be a must have! It is going to be a must have. Thanks for the updates on this book John! Thanks.Have been waiting for this.